There are several variations to this classic winter dessert. Some use milk others don't, Some boil and pulverize the lentils others don't. 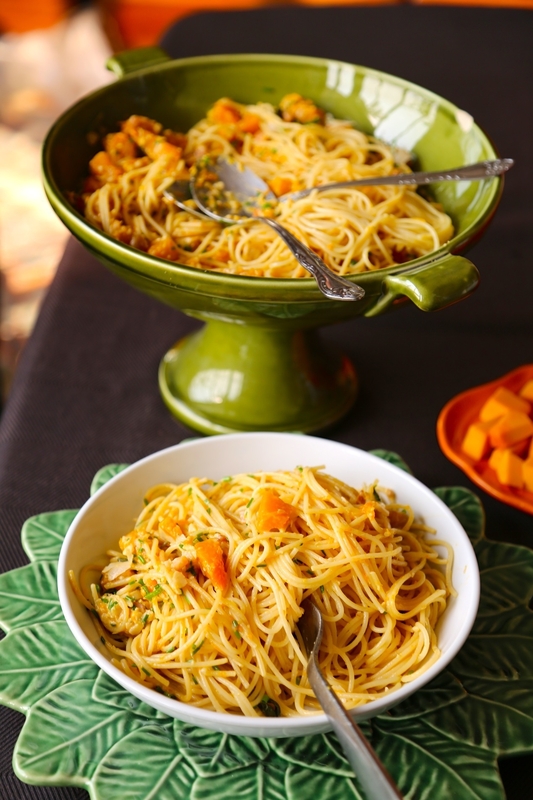 While this dish is easy to make it requires time and patience. Drain the lentils completely. Pat dry with a clean cloth. Blitz until you have a clumpy but fine powder. Do not add water. This will required repeated grinding in a mixer grinder or food processor. Heat the ghee on medium flame in a large non stick sauce pan. Add the lentils, a pinch of salt and stir well. Cook 10-12 minutes stirring constantly until oil separates from the paste. Heat the smashed cardamoms, milk water and sugar in a pan until it reaches a boil. Strain over the moong halwa using a sieve. Discard cardamom pods and seeds. 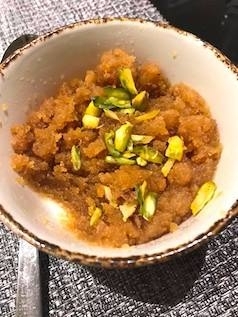 When the moong halwa cooks to a sandy consistency- which means most of the water has evaporated it is ready for the milk. Stir the halwa paste into the milk and keep cooking and stirring to prevent burning. The lentils will absorb the milk rapidly if they have been cooked to the right consistency. Continue to stir until the ghee separates from the halwa and the halwa has a soft dough like consistency.